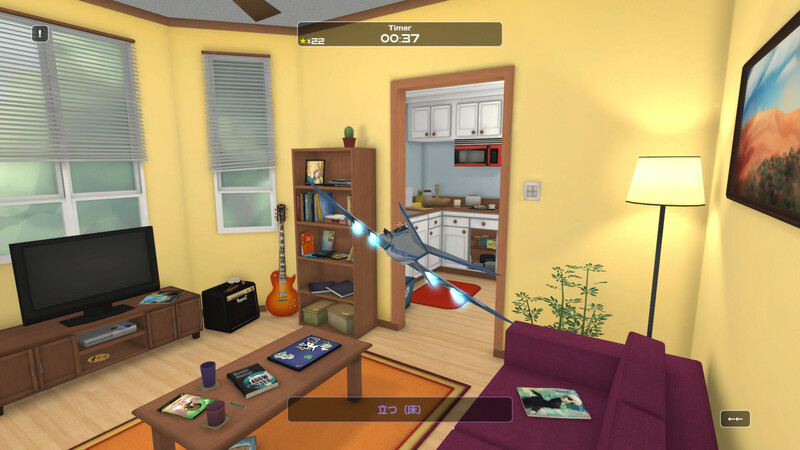 Inspired by the gameplay of titles like Shenmue and Toy Commander, Influent* allows you to interact with tons of objects in a 3D environment. Every object is connected to a word in your chosen language. The developer also plans to add several languages in the near future. With simple controls and the ability to learn at your own pace, you’ll soon begin interacting with objects, hearing pronunciations from native speakers and adding words to your vocabulary list. 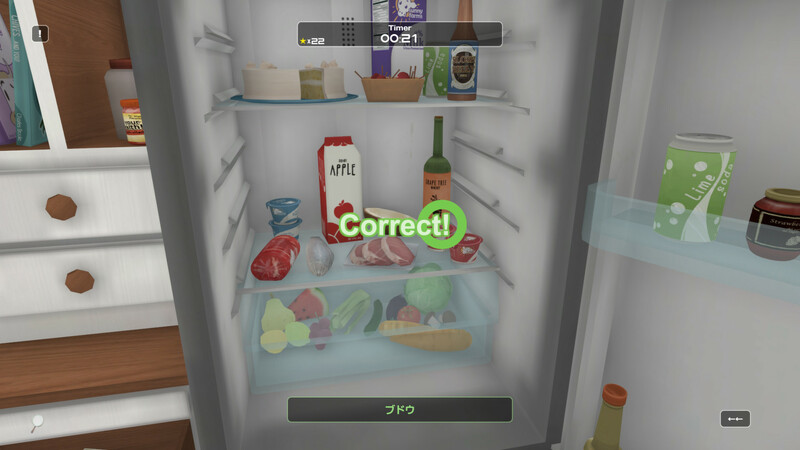 Every ten words on your list can be mastered in time attack, where you match them with their respective objects in the least amount of time possible. Mastering words allows you to “buy” adjectives and verbs (along with fulfilling an in-game to do list). This gives a tangible sense of progression. There are several wrinkles you can add to this formula to reinforce memory. These include only hearing the pronunciation, just seeing the word, etc. Once fifty words are mastered, you unlock a new time attack mode-Fly By. 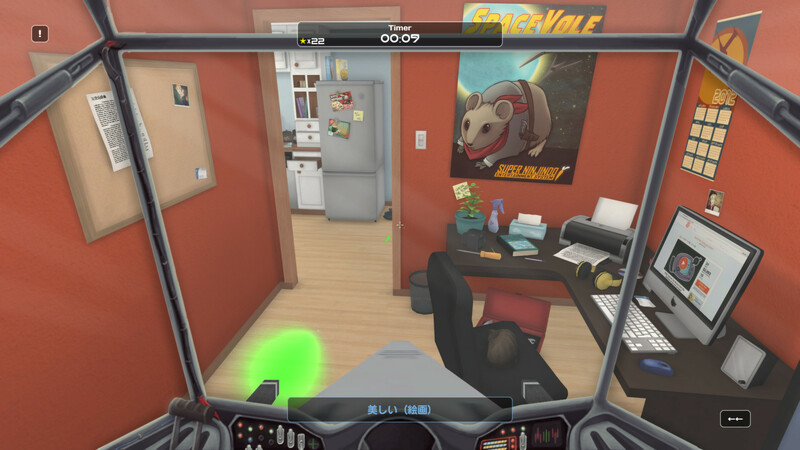 This mode lets you to hop into the cockpit of the Stingray IV (a toy airplane) and shoot lasers at household objects. All of these techniques are used to help you gain vocabulary in a fun and interesting way (think highly interactive, laser-shooting flashcards). As I am currently living abroad in South Korea, I put Influent to the test to see if it actually had any effect on my learning rate. It turns out Influent is very effective when it comes to memorization and reinforcing knowledge. I quickly learned words that have eluded me in the past few weeks (침대! 바지!) and confirmed ones I had forgotten (고양이!). This is mostly due to the fact that I actually enjoyed what I was doing. When you approach language learning as a game to be mastered rather than yet another stressful task, it makes a big difference. However, please note that as with any other application, there are limitations to Influent. First, this game will not actually teach you your chosen language. You will not learn grammar, the alphabet, or sentence construction through this title. Second, at present, you are limited to Andrew Cross’ apartment. Although there are many items to interact with, secrets to uncover and 420 words to master, the realization that you’ll memorize words like kettle but not tree is a bit disappointing. Influent is so successful in its approach to learning multiple languages that I can easily see it becoming more than just a learning supplement. Extra environments to explore and discover would transform this game into an essential part of the language-mastery experience. it definitely makes learning some of the most basic words/concepts (bed, TV, awesome, etc.) an enjoyable experience. 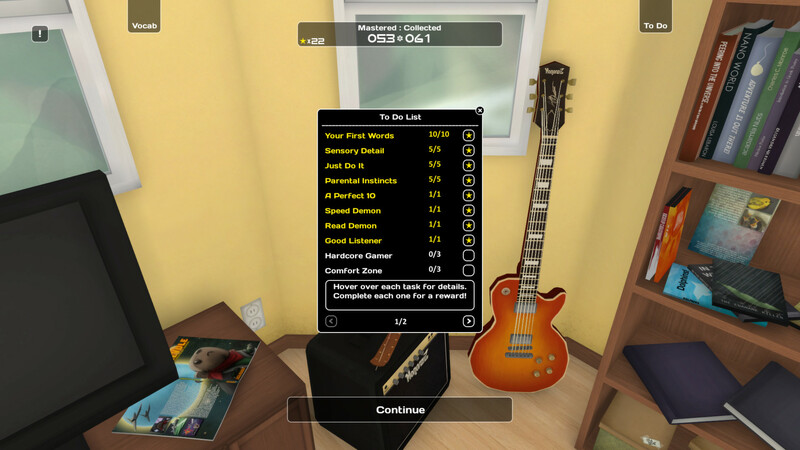 As languages are still being added, I’d like to see this idea expand beyond Andrew Cross’ apartment into the outside world. The addition of new environments and further basic vocabulary would make Influent truly invaluable. This entry was posted in Uncategorized and tagged adventure, Bible, christian, christian gaming, christian review, christianity, easy, educational, educational software, fun, gaming, God, Influent, interact, Jesus, KJV, kjv bible, language learning, review, salvation, SanjigenJiten, Shenmue, Time Attack, To Do List, Toy Commander, video game, video games, video games and the Bible, Video Games and the Bible Highlights, Video Games and the Bible Reviews, videogames, vocabulary acquisition. Bookmark the permalink.